The hotel is cosey and comfortable. We had a beautiful view of the beach with calming sound of the sea waves. The room was nicely organized and the bed was comfortable. A tasty homemade cake waited for us every evening in the room. We had a lovely time there. We highly recommend! Property owner Vasiliki treated me like family. Plus I was picked up and dropped at the bus station.. The studios is in a perfect quiet location across from the beach and next to town. Will stay here again! The family that runs the apartments are very gracious and welcoming. The rooms are on the beach and within an easy walk to the center of town. There are restaurants, small tavernas, a grocery very close as well. This is a good way to get to know Greece. This our second time here, and we will be back. Loved Andros it’s so beautiful, the hotel is so close to the Chora which is amazing, it was super clean and Spiros was so nice and helpful, he even drove us to the bus station super early in the morning . I definitely recommend this place . Everything was fantastic! Close enough to Chora to walk, even with luggage, but isolated enough to provide another side of the town. It has a nice beach in the front, for daily swimming, and excellent food nearby. The place is roomy, well decorated, and the owners are fantastic. When walking towards Chora, be sure to stop at Binelikia, best food of our trip! The host was very friendly and helpful and nothing was too much trouble. The room was excellent with modern fittings and facilities. The view we had out to sea was lovely. 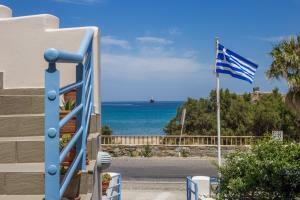 The location is quiet and next to an excellent traditional taverna where we ate most nights. 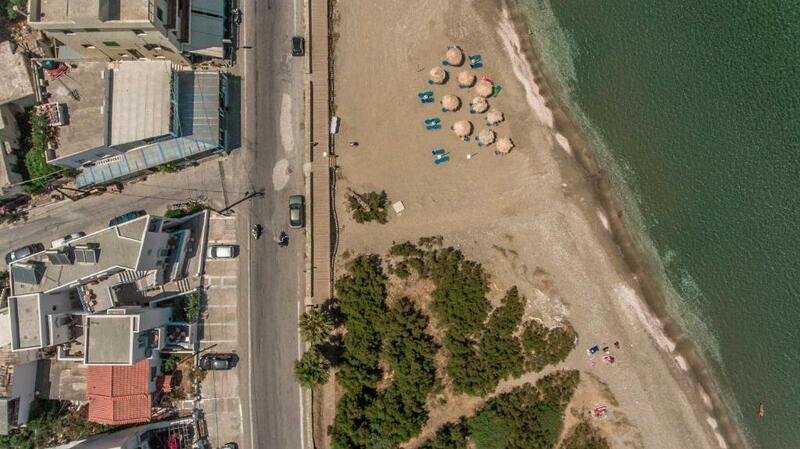 The beach is just across the road. A bit of an uphill walk (10 mins) takes you to the charming town where you can sit and watch the world go by or walk down to the sea. The Archaeological and the Modern Art museums are very good. The island itself is excellent for walkers and hiring a car proved well worth it. Lock in a great price for Alkyoni Studios – rated 9.4 by recent guests! 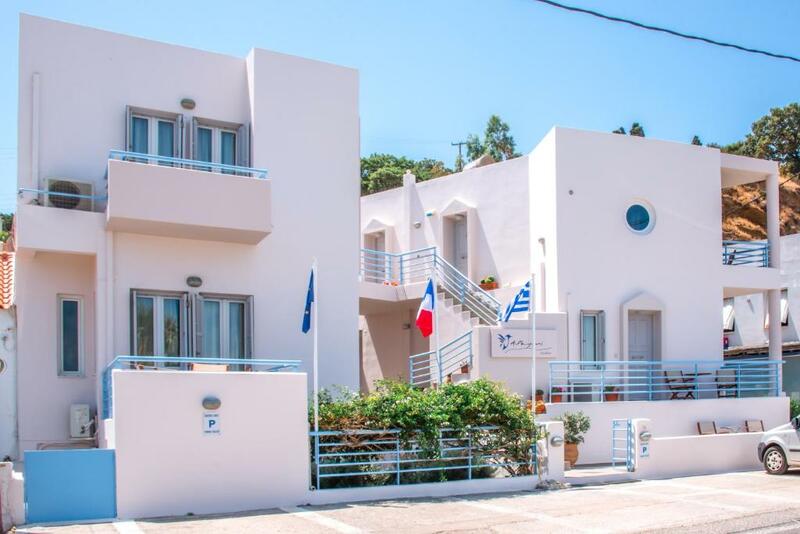 Alkyoni Studios are located in the island’s capital, Chora, a few steps from the sandy beach of Neiborio. 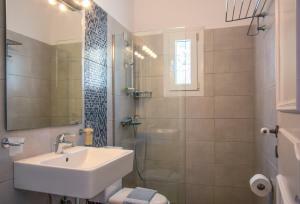 It offers self catering accommodations with daily cleaning and towel change. Each spacious studio has an independent entrance and sea-view balcony. All studios are air conditioned and equipped with bathroom, kitchenette with refrigerator, electrical stove, kettle and coffee maker. 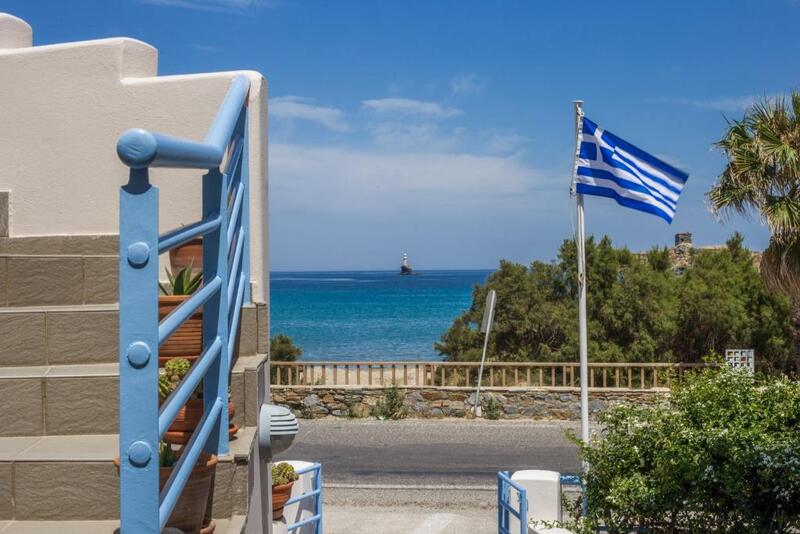 Within walking distance from Alkyoni Studios, guests can find the central market with all the museums, traditional Cycladic alleys and neoclassical buildings. 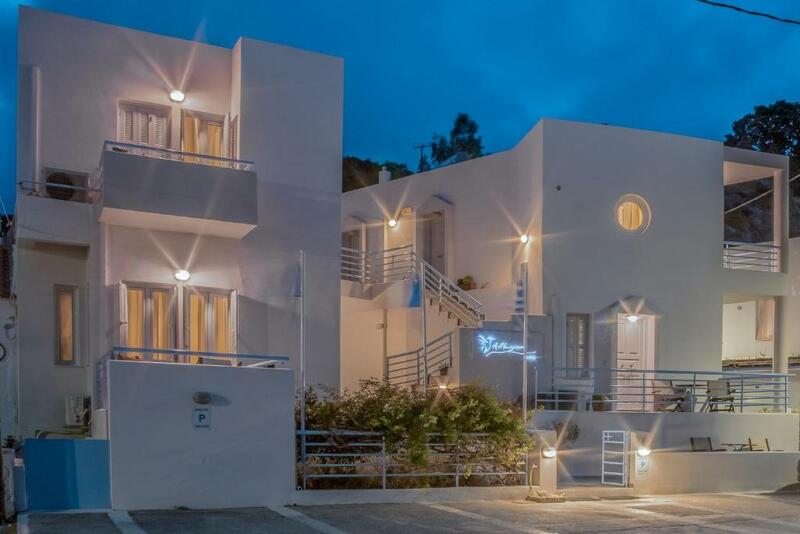 뀐 Located in the top-rated area in Andros, this property has an excellent location score of 9.7! When would you like to stay at Alkyoni Studios? 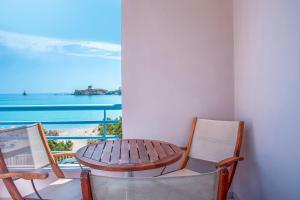 Spacious, air-conditioned studio with an independent entrance and balcony with unlimited sea-view . It is equipped with a kitchenette including a refrigerator, electric stove, kettle and coffee maker. 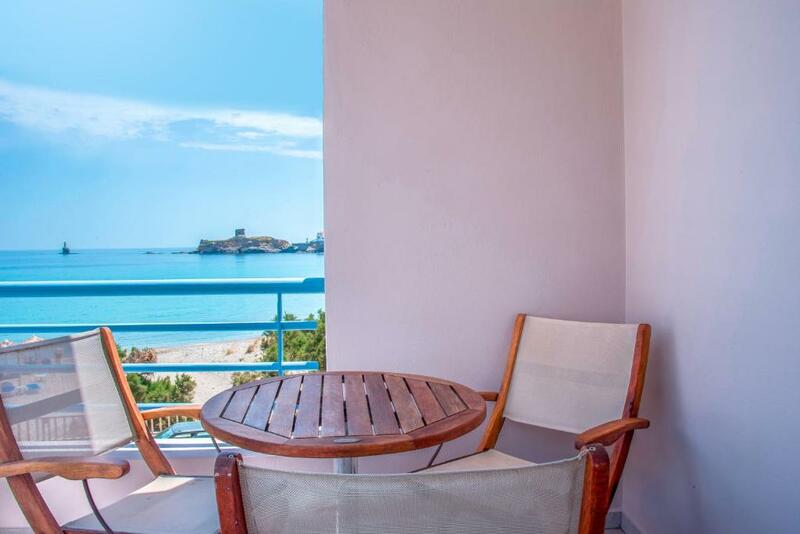 Spacious, air-conditioned studio with an independent entrance and balcony with unlimited sea view. It is equipped with a kitchenette including a refrigerator, electrical oven, kettle and coffee maker. This air-conditioned maisonette features an independent entrance and terrace. It is equipped with a kitchenette including a refrigerator, electric stove, kettle and coffee maker. This unit offers limited sea view. House Rules Alkyoni Studios takes special requests – add in the next step! Alkyoni Studios accepts these cards and reserves the right to temporarily hold an amount prior to arrival. Please inform Alkyoni Studios of your expected arrival time in advance. You can use the Special Requests box when booking, or contact the property directly using the contact details in your confirmation. We arrived at mid Oct - the weather was chilly so we hoped for hot water in the shower. Unfortunately, the water was warm but not hot enough. The air-conditioning did not work, but Spiros, the owner, was very kind and suggested to change our room. Leaving. We would definitely stay again. Very good welcome by Spiros who was very helpful. The studio is modern and functional, and clean. Only a few minutes walk from chora center. Excellent hosts Laundry done free! too expensive for the type of accommodation. Room perhaps a little small to spend more than a few days. Super friendly and helpful hosts. Great bathroom with plenty of hot water. Lovely sea views. Plenty of storage space. Convenient location very close to Andros town (Hora) which is really pretty and full of lovely restaurants and cafes but right opposite the beach. Lots of great walks on the island. Would stay again if we return to Andros.